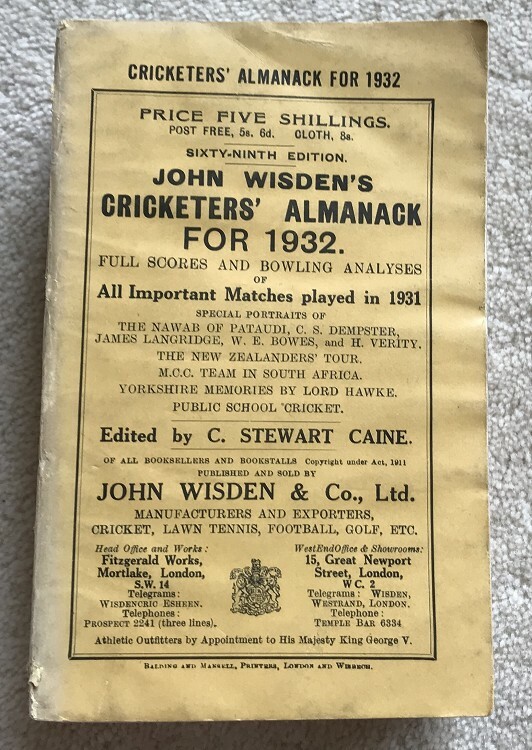 This lot is an Original 1932 Wisden Paperback. In Very Good Condition. This book has great, 99% complete spine paper, tinyest of loss to one corner , no bowing to the spine with nice mark free covers, some crinkling to covers but clean pages inside with a great photoplate, hard to fault, superb Wisden, very square and tightly bound.